Ask Stacey about our daily special! At Harry's Pizza in McMurray, Pennsylvania, we feature the finest salad menu to complement our fantastic pizza options. 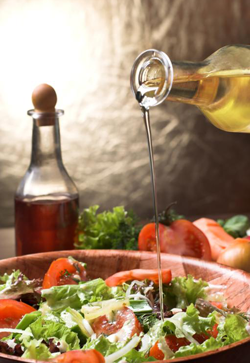 Just like our pizza toppings, our salads are made-to-order from the freshest ingredients. They are also available in dinner- and lunch- sizes. One of two homemade dressings made with herbs, spices, and cheese complement our salads: Harry's Original and our balsamic dressing. Harry's Original dressing is also available in a 12oz bottle for $4.95 for separate purchase. Additional servings of Harry’s Original Dressing costs $0.75. Contact us in McMurray, Pennsylvania, to explore our restaurant's amazing salad menu.